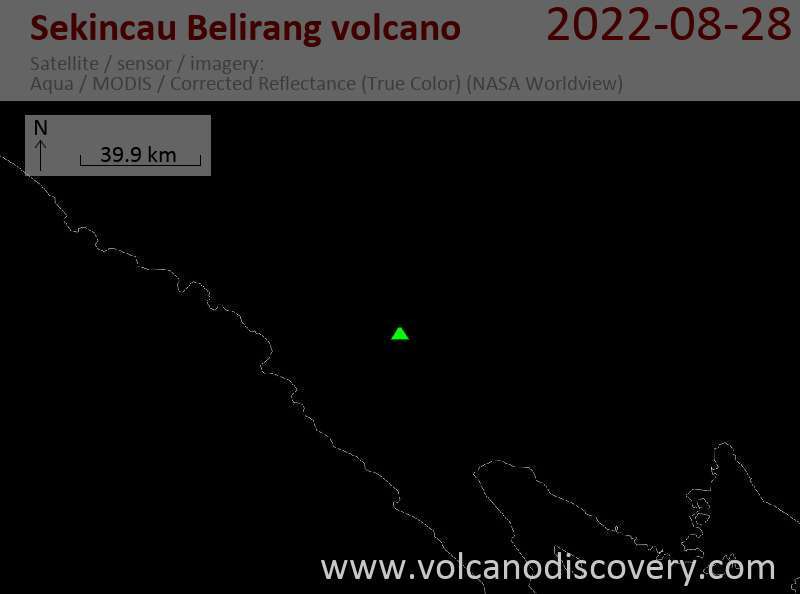 Sekincau volcano was constructed near the southern rim of the small NW-SE-trending double Belirang and Balak calderas, 2 and 2.5 km wide, respectively. The 300-m-wide crater of Sekincau is open to the south. The age of the latest eruptive activity is not known, although fumarolic activity occurs on the caldera floor and on the eastern and SE outer flanks of Balak caldera.